EDUCATE GIRLS’ UPDATES FROM SAFEENA HUSAIN! A young school girl enjoying her education by Mark Tuschman. On behalf of the entire team of Educate Girls I would like to thank you for encouraging us in our journey to empower girls through education. So much has happened in the last few months that we wanted to briefly update you on the progress. You will be pleased to know that in February I was invited by TEDxASB to speak to an audience of international educators about rejuvenating government schools. Click here to watch the talk. The Indian Philanthropy Forum’s (IPF) Annual Conference in March 2012 organized by Dasra gave me an opportunity to speak about the issues that adolescent girls in India face at a panel discussion titled ‘Owning Her Future: Empowering Adolescent Girls in India’. The IPF also saw the release of the Indian Philanthropy Report, 2012 published by Bain and Company. 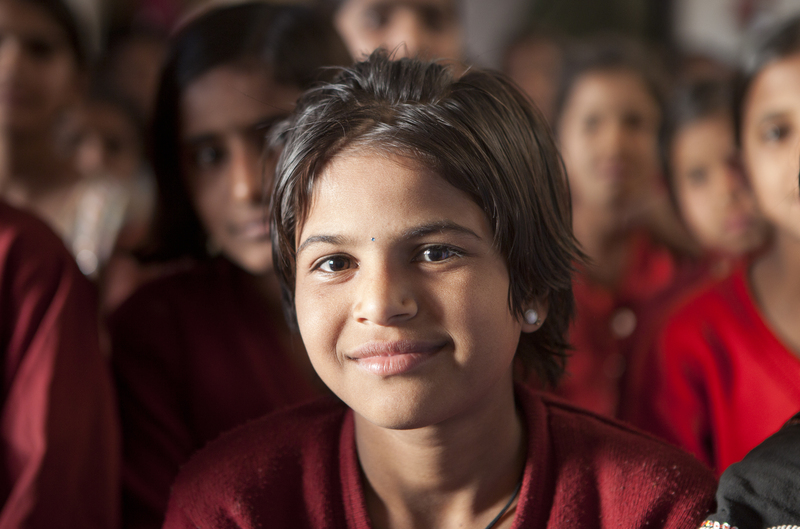 We are happy to report that Educate Girls is featured in the report! Please click here. Our programs are going strong with over 20,000 girls enrolled in schools since last year and almost 1186 teachers in Pali and Jalore trained in Creative Learning Techniques. In addition Educate Girls has launched a new initiative in December last year. As part of this, Educate Girls is building a cadre of village based education volunteers known as Team Balika. Over 500 Team Balika members have been recruited and trained across Pali and Jalore. These educated youth are champions for girl education and support Educate Girls’ programs to ensure enrollment and retention of every girl along with provision of quality education. We are delighted to share the Team Balika logo with you. Our efforts and your support have been appreciated and recognized, we were nominated for the WomenChangeMakers Award and have also been shortlisted for the second stage of the Stars Impact Awards. The results will be declared soon! We thank you for your continuous support and encouragement for every milestone achieved. Next Post KATHA SHIVIR – A WORKSHOP TO WRITE STORIES THAT INSPIRE CHANGE!